May be used in Food Service wet or dry areas. Available with drainage holes or solid deck top. 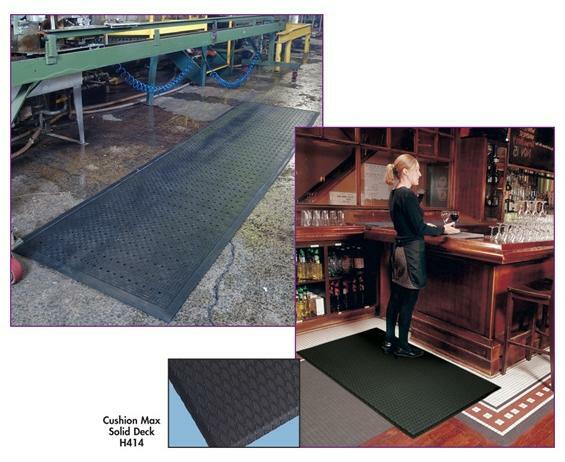 Cushion Max will not allow bacteria growth, extending the durability of this comfortable mat. The embossed diamond surface is slip-resistant. Produced with 5/8" Nitrile/PVC foam with all 4 sides beveled providing safe access coming and going. 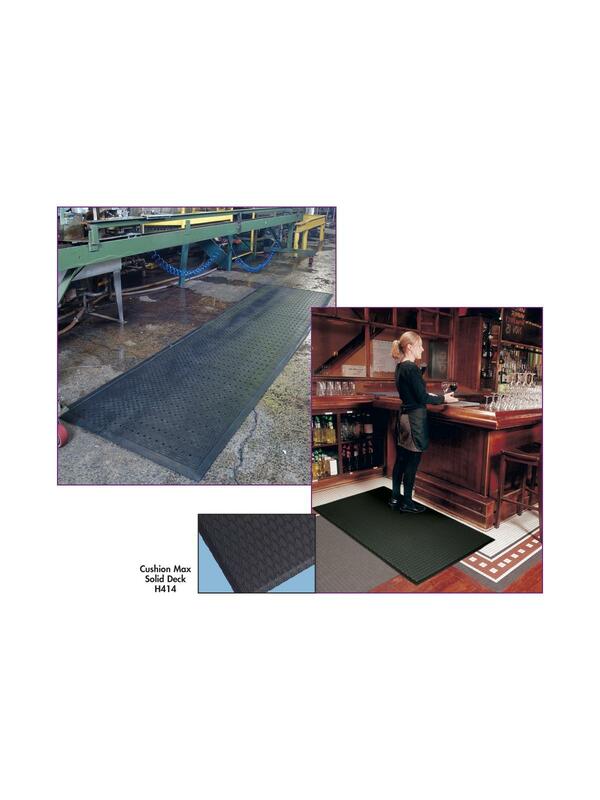 These mats are extremely comfortable, economically priced and are twice as durable as vinyl foam products. Available in 24", 36", 48" widths up to 45-feet in length. Custom lengths available in one foot increments up to 45-feet in length. Available in Charcoal. FOB Shipping Point. See Related Items tab for Cushion Max Anti-Fatigue Mats Custom Length.